Backlit Signs Frames For Business, Corporate Environments & Impressive Trade-show Displays. 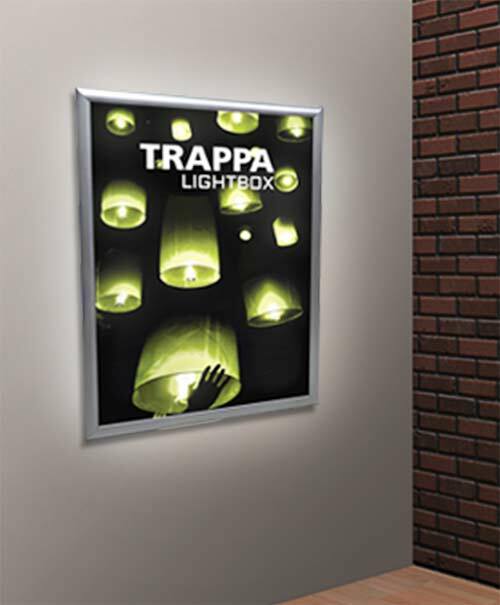 Illuminated sign frames with Snap-Open frame secures your graphics and messages securely (and easily). 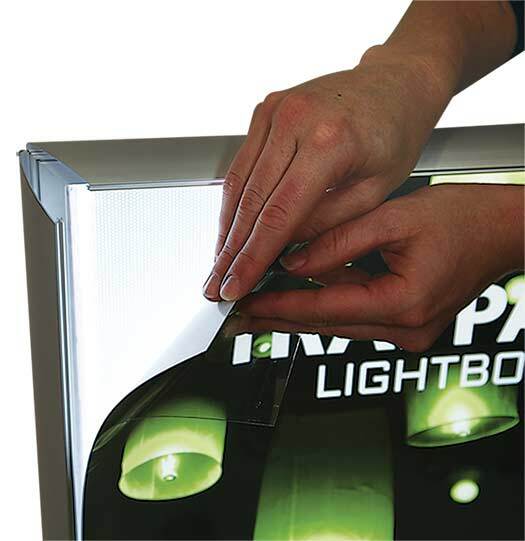 Thin 1" thick profile incorporates an LED diffusion panel for even light distribution. Stylish, aluminum Illuminated sign frame adds instant appeal and pop to any message or graphic you need to display. 5 standard sizes available, wall mount hardware included. 50,000 hour bulb life, comes with power supply cord. 1 year limited warranty. Lit sign frame includes custom printed translucent graphic. Customer supplies artwork - custom design available for additional fees. 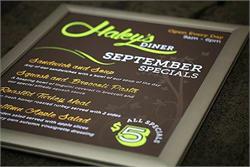 Frame edges open easily to quickly replace sign graphics. 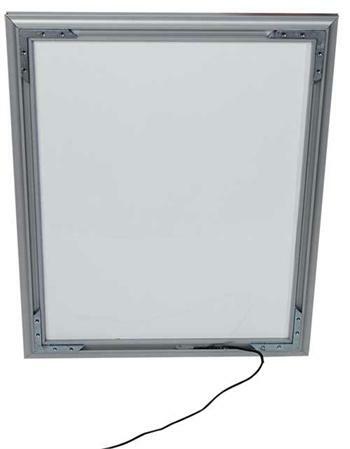 Sign frame includes a protective clear lens and fully assembled, ready to hang. Sign may be used with or without clear lens.